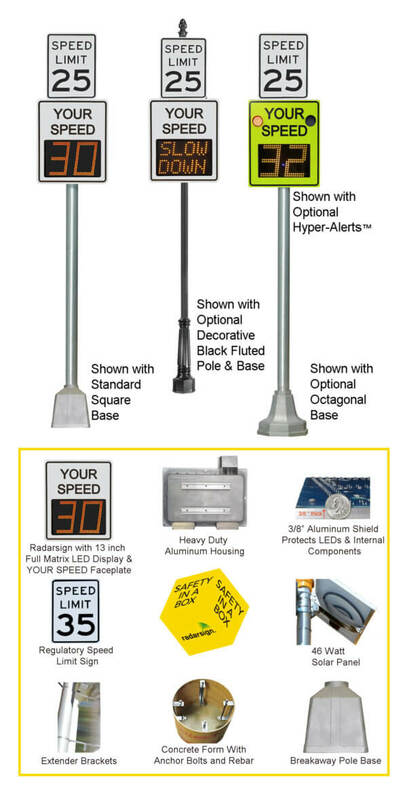 Radarsign’s Safety in a Box is a all inclusive sign package with everything needed for installation except the shovel and the concrete. All that is required is digging a hole, pouring the concrete, and installing the sign. It’s that easy. Wi-Fi enabled: allows access to program signs from most web enabled device. WPA2 encrypted security; Password protected. the TC-600 model, delivering a significantly more compact solution than traditional beacon.